in-depth knowledge of each person we serve. MTC Employment Services provides comprehensive supports and services to persons with barriers to employment who are seeking employment. MacDonald Training Center’s decades of servicing those with disabilities may be tracked to the beginning of our Community Employment Services in 1971, giving MTC a long history of successfully placing individuals with disabilities into competitive employment throughout Tampa Bay. Acquiring needed job-skills, Developing job opportunities, Obtaining the job, Providing on-the-job training, Soft skills training and guidance, and Developing natural supports. 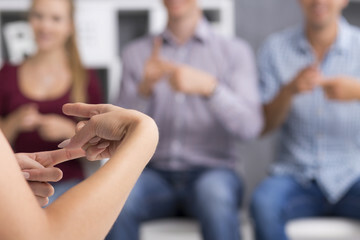 Supported Employment utilizes a one to one person-centered approach in obtaining competitive employment by utilizing the support of an Employment Coach for job development, intensive systematic job training and job maintenance services for the duration of employment This best practice approach is essential for ensuring satisfaction and success throughout the employment process. DISCOVERY is a customized employment service that focuses on the strengths, abilities and interests of the candidate for employment through close collaboration with the job development team. By utilizing the “Discovery” process the candidate may have a more successful outcome for future employment. Job Placement/Time-Limited Supported Employments Services is designed for those who have previous work experiences and/or have life experiences which can more easily transfer into specific job skills. Employment specialists are flexible in providing only those services needed for successful employment. Job maintenance services are available for the first 90 days of employment. Follow-along services may also be available through our collaboration with Hillsborough County Schools. MTC is committed to improving the way organizations hire and train people with disabilities. Our employment experts will work with employers to provide diversity and employee training, and provide any assistance needed for the duration of employment. MTC is part of the State of Florida’s Unique Abilities program. Click here for more information. The Work Opportunity Tax Credit is a Federal tax credit available to employers for hiring individuals from certain who have consistently faced significant barriers to employment. Grant funding from The Able Trust is expanding MTC’s services to people who are deaf and hard of hearing. This includes young people seeking first time employment and adults seeking a new job or advancement on their chosen career path. HEAR is expressly designed to provide individuals who are deaf and hard of hearing, who have traditionally been underserved, the opportunity to gain employability skills, vocational counseling, resume preparation, job development, job placement assistance, interpreting services in American Sign Language, job maintenance (follow-along), career advancement, benefits planning, and service coordination. Diversity Trainings are available to employers. Our team works together with the shared goal to change stereotypic employer attitudes, unconscious bias and outright employment discrimination, which often denies people with disabilities the chance for employment. Through exposure to our many resources, those situations in which an employer is willing to provide an employment opportunity to an individual, but may lack the confidence or awareness of the supports available, may instead have successful outcomes of meaningful, full time employment.